TransitScreen has recently partnered with United Playaz, a San Francisco-based anti-violence youth organization based near our office in SoMa. Last week, David Nebinski and Marcus Goodwin attended the grand re-opening of the non-profit’s newly renovated headquarters. The date also marked the organization’s 21st anniversary. 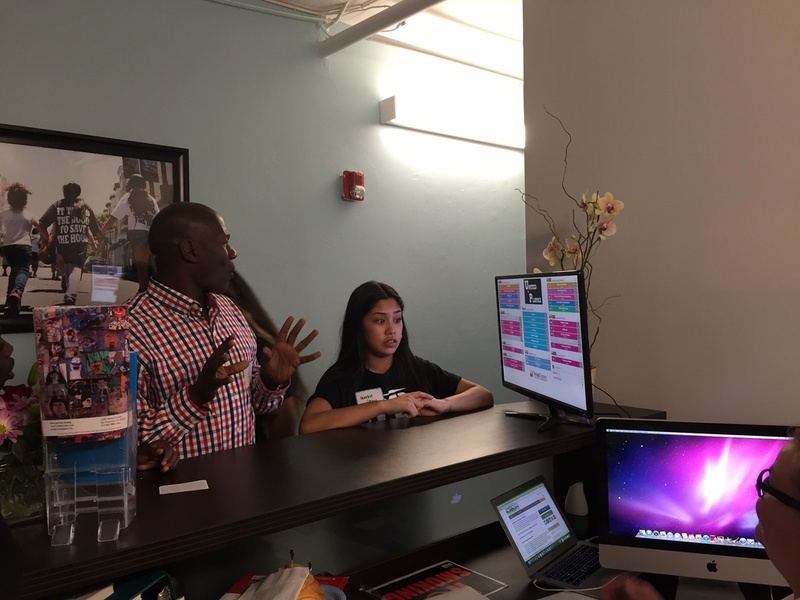 “TransitScreen is a great resource because it provides safety for the youth in our community,” said United Playaz Executive Director Rudy Corpuz. United Playaz provides a comprehensive range of services to prepare vulnerable youth for higher education, employment, and healthy living within a safe, nurturing, and collaborative environment. With the help of our friends at Crescent Heights, we have donated a live TransitScreen display to United Playaz.